The first day of Jump Festa has begun and as promised Square Enix have released the new trailer for Kingdom Hearts HD 2.8 Final Chapter Prologue today. 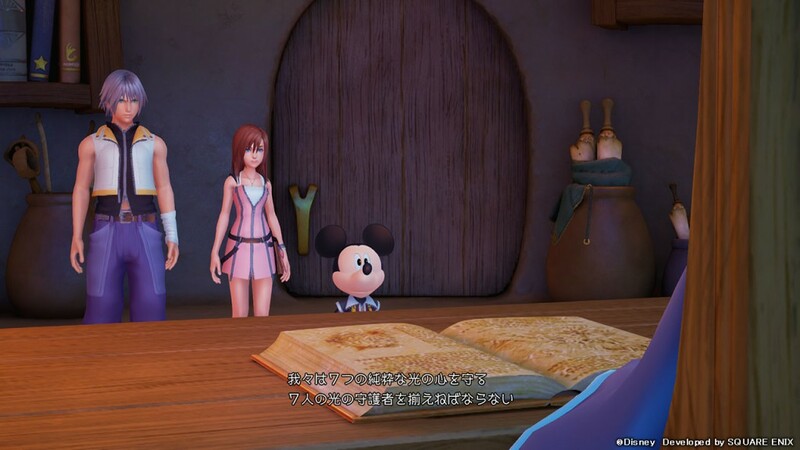 It appears that the footage we see in the trailer is also the same footage attendees of the Kingdom Hearts Premium theater saw at D23 2015 last month which also included a new look at Kingdom Hearts III. Kingdom Hearts HD 2.8 Final Chapter Prologue comes packed with Kingdom Hearts: Dream Drop Distance HD, Kingdom Hearts Chi: Back Cover, and Kingdom Hearts 0.2 Birth by Sleep: A Fragmentary Passage. Stay tuned for for more news about the Kingdom Hearts series and other things that come from Jump Festa this week. Kingdom Hearts HD 2.8 Final Chapter Prologue is set to release exclusively on PlayStation 4 next year. Posted in Jump Festa 2016, Kingdom Hearts. Oh lord Yen Sid looks like complete plastic. Look at how his mouth moves. It’s so weird! The trailer is so boring until KHIII :>. They really spent a cool minute having VA talking over an empty scene in an empty room. Wow what a nice trailer SE! Good to see Shotlocks are making a return for KH3. They were an interesting and fun mechanic for Birth By Sleep and I’d been hoping we would see it again. It’s quite obvious that KH3 is not yet in full develop power. They’re still trying out the potential usage of UE4 (Since none of SQEX’s self-develop game uses UE4), and that’s why we’re getting those combat experiment videos. Any news of FFXV from Comic Fiesta in Malaysia?? If they add Ace and Noctis as optional bosses that give keychains to Sora or Riku that’d be cool. Otherwise, I’d like them to help with the plot some. Like defending a world like the cast in Radiant Garden did in KH2. The graphics of 0.2 are so ugly that I can’t even look at it. I hope they improve it ’cause it feels like I’m watching one of those Barbie’s movie with this poor animations. The gameplay and graphics for the third game are okay for me. But it’s sad to know that we aren’t playing it anytime soon. i know motomu toriyama is making a new game for SE but i’m so glad he’s not involved in any of these games. I mean Stars Ocean, FFXV, KH 3 and FF VIIR.